That's Not What The Recipe Says: Happy Halloween! No cooking tonight, but I did grow the pumpkins in our garden. Remember the mystery plants that grew out of the compost we spread? We got two pumpkins big enough to carve! The kids are finally old enough to do their own pumpkins. Julie and her boyfriend carved the ghost and Tommy did the KISS pumpkin. They didn't even need help with costumes, so no more lost weekends (and weeks!) spent sewing elaborate costumes for me. I did it for four kids for enough years that we now have two giant boxes of custume props they can raid and mix and match. Julie did Tommy's makeup. Do you see a theme going on here? Yep, KISS is his favorite band. How funny is that? I thought he should be the KISS member with the star around his eye because that one seemed easier to do, but Tommy explained, "Nobody wants to be Paul Stanley, Mom. Gene Simmons is way cooler." And my litle princess came to Nani and Papi's neighborhood to go trick or treating. She made out great. That's way more candy than any three and a half year old needs. I had to share this with my husband because he loves KISS. Looks like everyone had a fabulous Halloween! She's going to be snacking on that candy through to Christmas! What a haul! Love the pumpkins and the costumes too. Sounds like a fun Halloween! 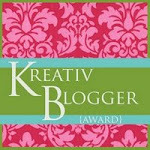 BTW--I left you an award and an optional meme/tag on my blog today. awww :) sounds like a great Halloween! By the way... I did link to you and yes, feel free to link me back as well. Nice to "meet you!"